Stadium Financing Renovations funded through bond issue. Mile High Stadium is the home of the Denver Broncos of the NFL and the Colorado Rapids of the MLS. 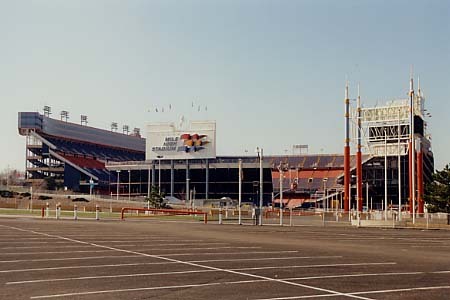 The first phase of Mile High Stadium, originally named "Bears Stadium," was constructed in 1948 and included the existing lower level west and north stands only. 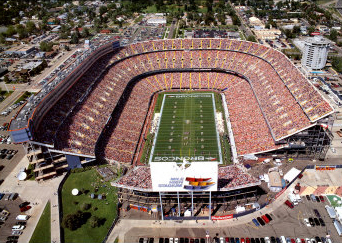 The south stands were added in l963 to accommodate the American Football League, Denver Broncos Football Team. In 1967 the City and County of Denver assumed ownership and management of the facility. In 1968 the upper deck was added to the west stands. In 1976 upper decks were added to the north stands and in 1977 the movable east stands were constructed. "Constructed by the Howsam family on a rat-infested city dump west of downtown Denver, Bears Stadium was originally meant for baseball when it opened in August 1948. Not until December 1968 did it become Mile High Stadium, but since the Broncos' first game in 1960, Denver hasn't been the same since. Broncos fans are so devoted that Mile High has been called the loudest outdoor arena in North America, which says something about how deafening a home game can be. For Denver fans, rooting for the Broncos is a religious experience, not a social occasion. If it's snowing, the visiting team might have as much to fear from snowballs thrown from the south stands as from John Elway's passes. Watching over the mayhem is Bucky the Bronco, the signature horse that has stood atop the south stands scoreboard since 1976; 30 feet tall and made of white fiberglass, Bucky was modeled after Trigger, the Roy Rogers horse of cinema fame. 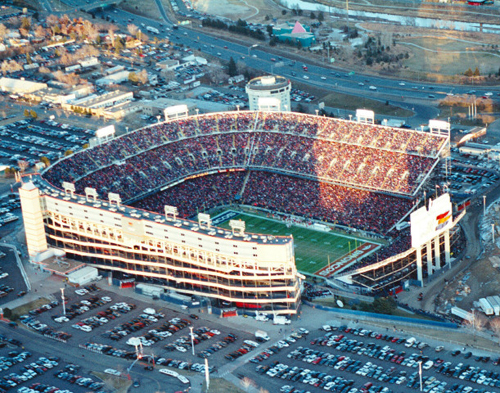 While Bucky might be the only one that doesn't mind Mile High's plumbing problems and too few restrooms, the fans put up with the aging stadium simply because of the electric atmosphere. In their eyes, Sundays at Mile High have no equal in the NFL." The Denver Broncos hope to increase stadium revenue even before their new stadium opens by buying and reselling the luxury suites at Mile High Stadium. The suites are owned by Penthouse Suites, a limited partnership group from Connecticut, which bought them on a 21-year term from the Broncos in 1987 for $18 million. The sale was designed to bring the team cash it needed at the time. By buying the suites back, the team becomes responsible for operating and selling the existing 57 suites and is in a position to handle the transition of suite holders from the current venue to the new stadium which is scheduled to open in 2002. The new stadium will have 106 suites leasing for $75,000 to $125,000. More than 75% of those suites have been leased and if strong sales continue, the team may add another 40 to the design. The suites hold 14 to 18 persons. The existing suites at Mile High Stadium sell for $40,000 to $80,000. Add the Colorado Rapids to the list of Major League Soccer teams considering a stadium of their own. 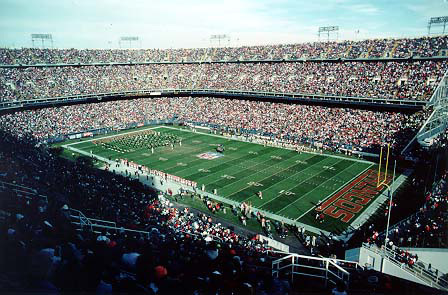 The team plays at Mile High Stadium which would be razed to make room for a new Broncos stadium. The team estimates it could build its own 30,000-seat venue for up to $50 million. By playing in its own venue, the team could get all revenue from the building. Many MLS teams want to get out of the cavernous NFL stadiums in which they now play. They are also buoyed by the success of the Columbus Crew, which this year opened the first US stadium built exclusively for professional soccer. The Los Angeles Galaxy and the New York-New Jersey Metrostars are among the teams considering a soccer stadium. The Rapids believe they could not only host soccer matches in the stadium, but they could also provide a home for some area colleges and high schools.